Tickets go on sale Thursday, October 24 at 10am. In recent years, machine learning methods like "deep learning" have proven enormously successful for tasks including image classification and voice recognition. Despite their effectiveness for big-data classification problems, these methods have had limited success predicting "chaotic" systems like weather, solar activity, and brain dynamics. For decades, scientists have understood that the "butterfly effect" makes long-term prediction impossible for these chaotic systems. In this SFI lecture, physicist Michelle Girvan discusses how a Reservoir Computer(RC)— a special kind of artificial neural network—can draw on its own internal chaotic dynamics in order to forecast chaotic systems far beyond the time horizon of other methods. The RC provides a knowledge-free approach because it builds forecasts purely from past measurements without any specific knowledge of the system dynamics. By building a new approach that combines the RC's knowledge-free prediction with a knowledge-based model, Girvan demonstrates dramatic improvement in forecasting chaotic systems. Michelle Girvan is Associate Professor in the Department of Physics and the Institute for Physical Science and Technology at the University of Maryland, College Park. She is a member of the External Faculty at the Santa Fe Institute. 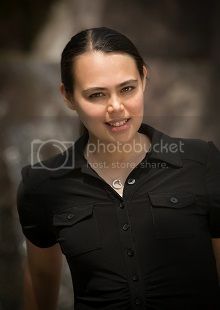 Her research operates at the intersection of statistical physics, nonlinear dynamics, and computer science with applications to social, biological, and technological systems.